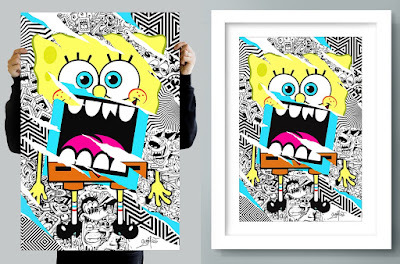 Greg Mike has released his newest print “Loudmouf Square Pants”, which is a rad mash-up of his signature character, Larry Loudmouf, with the iconic SpongeBob SquarePants. The Blot’s a huge fan of Mike’s style, and I love the depth of this piece. Can you identify all of the classic cartoon characters Greg included in the background of “Loudmouf Square Pants”? 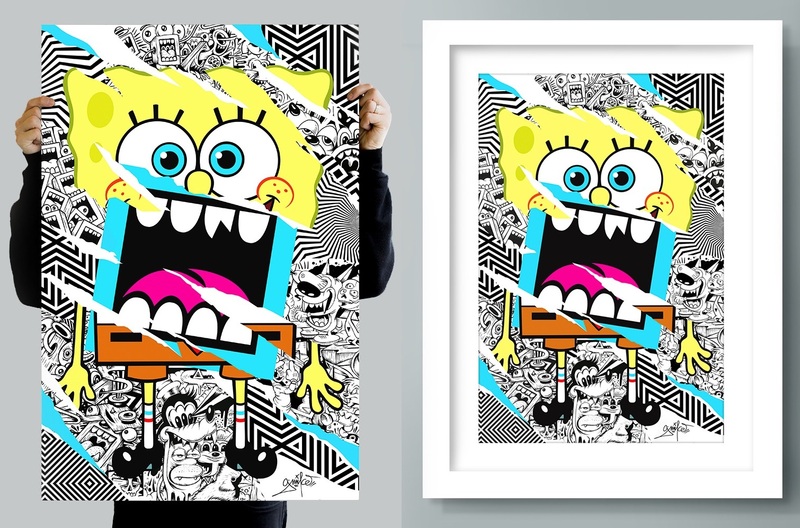 Loudmouf Square Pants by Greg Mike is a 24”x36” signed and numbered archival print on museum fine art paper. Limited to just 100 pieces, collectors can purchase this print now at Greg’s online store for $150.